PPG summarizes his journey: "Pikes Peak is the most visited mountain in North America and the second most visited mountain in the world behind Japan's Mount Fuji. And over half a million people reach the summit house every year by the Pikes Peak Highway, Barr Trail, or the Pikes Peak Cog Railway. 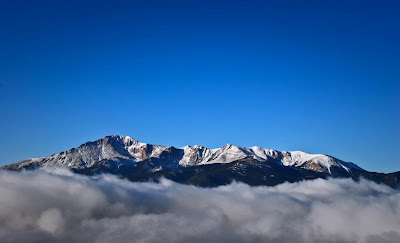 From June 1, 2010 to May 31,2011 I set to capture a unique photograph of the Pikes Peak every day for an entire year and share it with the world. This book is the culmination of those photographs and the story of what it took to get that picutre each day. 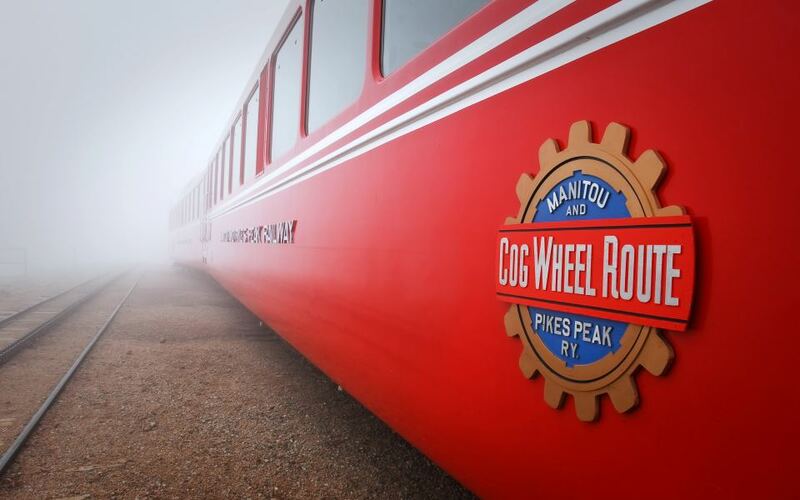 This is my journey over 365 days of Pikes Peak!" I began "following" this project about a month after it started, and it was so awesome waiting to see what each day would bring. I also was fortunate to meet PPG that summer and participate in a photo shoot. Not only is he an amazing photographer, he is just an all around great guy! He and I both agree that this would be a great time to bring some focus to Pikes Peak and the surrounding area, as we are struggling with the aftermath of the devastating Waldo Canyon Fire that burned over 18,000 acres and destroyed close to 350 homes. Waldo Canyon is only a few short miles from the base of Pikes Peak. and it is very fortunate that more of the amazing landscape in the area was not scarred more. So, the reminder is... don't take the beautiful landscape of Colorado (or anywhere for that matter) for granted... the next day it could be gone! I'm an ordinary guy hoping to create something extraordinary. 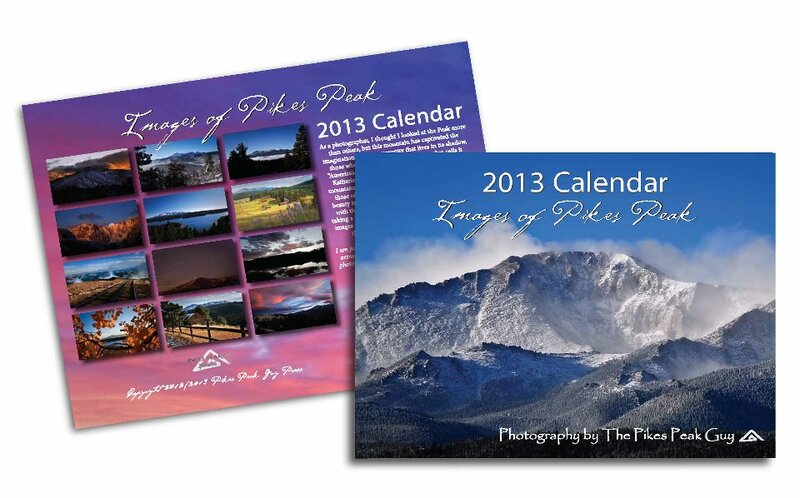 Capturing the beauty of Pikes Peak in photographs every single day for a year~ and sharing that with the world. I hope you enjoy. So, PPG was kind enough to take some time to provide an interview AND some swag for a give away. After the interview below, I've posted instructions on how to enter to win a soft-cover version of his amazing book! Also, one lucky winner will enjoy a 2013 wall calendar with amazing pictures from his journey. So... check out the interview and enter to win! BI: Tell me a little bit more about how you came about deciding on a project like 365 Days of Pikes Peak? How far ahead of your project start did you begin thinking about it? 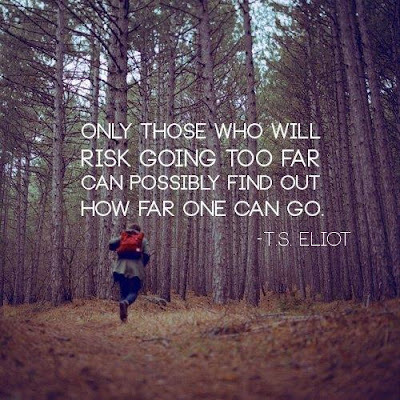 What was your goal? PPG: I had come up with the idea for the project about 6 months or more before I started, but hadn’t told anyone about until April 2010. The minute I started talking about it, people told me that I had to do it! So I started planning immediately and set a launch date of June 1st, 2010. My goal was simple; capture the beauty of Pikes Peak in photographs every single day for a year... and share that with the world. BI: What challenges did you anticipate prior to starting the project, and which challenges caught you by surprise? PPG: As I started preparing for the project, I knew it would be a challenge to find enough time everyday to get out there and find the most beautiful shot the day had to offer… what I didn’t anticipate is what that really looked like. There were some days where I had my day all planned out and would get up at 4am to go for a long hike and set up deep in the forest for a sunrise shot. 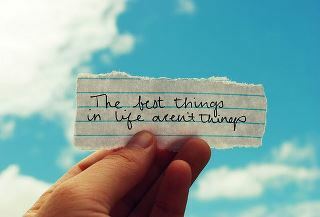 And it would fail miserably. The sunrise ended up being completely unremarkable! So I would hike back out, get home 8am and head back out on my lunch break to try again. But mid day shots seldom work so I would keep my eye on the weather and the light the entire afternoon and plan an evening/sunset shoot instead. I would end up hiking out on a cliff in the middle of nowhere, and wait for some magic at sunset. If I got home by 9pm on a night like that I was lucky. Then I had 3 different photo shoots to sort through. Often times that would be 500 pictures or more – and it would take hours. I would pick my favorite shot of the day, write about my experiences that day, and race to publish it on my blog, Facebook and Twitter by midnight. I had to get it published by midnight because it was called the “Picture of the Day”, not the picture of the day before! This hard deadline drove everything! So on a day like that, I started at 4am and finished at midnight - and then I would start all over again the next day. Not every day was like this, but it happened often. To that extent, I had no clue what it meant to do this every day for an entire year. I had to readjust everything in my life to accommodate for the time demands of the project and not let it overwhelm me. But soon found my groove and I can honestly say that it was one of the most enjoyable and rewarding experiences of my life! BI: I imagine you’ve met a number of people during your journey, especially those who’ve helped you with access to locations etc. Besides meeting new people, what other benefits have you gained during this project? PPG: I think one of the biggest benefits of the project was that it forced me to explore every corner of our community and I found the most beautiful places on earth – right in my own backyard. I hike and explored some of the most remote locations you could imagine. I thought I knew the Pikes Peak region better than most, but I was discovering new things every day and loving it. BI: What was it like working with Kickstarter to get the funding to publish this book? Had you considered following a more traditional publishing route first? PPG: Kickstarter was probably the most interesting part of this entire project. By using a crowd source funding solution to get the book published, I changed the way many people think about bringing their dreams to life. At the time my Kickstarter project funded, it was the 3rd highest funded project in my category. This was a huge accomplishment for someone who had never been published before for someone who didn’t even use their own name! And the publishing world is taking notice. Kickstarter gave someone like me the chance to do something that the traditional publishing world would have never given me, and it is doing the same for so many others who have great ideas/projects and a tribe of people who are willing to support them. Kickstarter changes the game for everyone, and I guarantee we will all be hearing more about it as time goes on. BI: Some of my favorite pictures from the book are the ones that don’t necessarily have the Peak in them.. had you planned shots ahead of time for those times when the Peak wasn’t visible? PPG: My original vision was to get the summit of Pikes Peak in the shot somehow with each picture. But as I began to explore all things Pikes Peak, I realized that the summit was just a part of it. There are so many beautiful things in our community that represent Pikes Peak that I had to adjust my vision and incorporate those into the project or it wouldn’t be complete! BI: It’s been just over a year since you completed the year long project.. besides publishing the initial book last Fall, what else have you been up to? PPG: Well, as of today I have published 3 books and the 2013 calendar, and I am very proud of that! As you know, I published the hardbound coffee table book in October of last year, and today have created a newly designed softcover version that is in limited release now, and will be available in bookstores this September! I have also published a keepsake book entitled “Images of Spring” and finally there is the 2013 wall calendar. It has been a ton of work to get these books published, but I am so proud of how wonderful they turned out. My next focus is to do a gallery exhibit and show the world how amazing the photos look in large print. 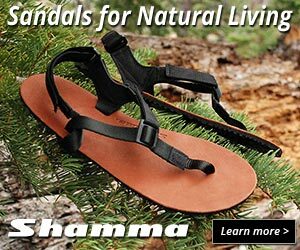 Yes... those are PPG's trail trekking feet! 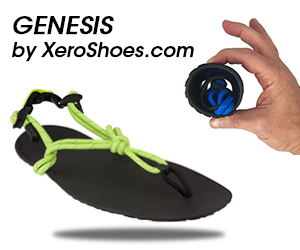 BI: Ok, now I have to change subject a little… a few months back you posted pics of your new Vibram Five Finger KSO’s.. What prompted that, and what are your thoughts on minimalist shoes and the natural running style? PPG: I love those shoes!!! Sorry, I just had to blurt that out. I can tell you that over the course of the project I hiked hundreds of miles… and I wish I knew about them from the very beginning! And now... the give away! 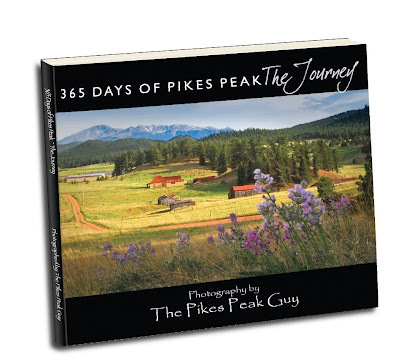 One lucky winner will get a soft cover version of "365 days of Pikes Peak The Journey" pictured above. I have the hardcover version and it is AMAZING.. not only do you get all 365 pictures, you get the stories and comments as posted in Facebook as the project was in progress. Also, one winner will also receive a 2013 Wall Calendar! Ok... to participate please note the entry drill below! I will select winners randomly (Random.org) after the contest closes at 8pm MST on Friday, July 27th. Contest is closed... Congratulations to Pattie for winning the book, and to Coy Martinez for winning the calendar!! To participate, please leave a comment below confirming EACH of the actions completed in each comment (don't summarize in one post). The more you do, the more entries in the contest! (Up to 6 entries per person) NOTE: If you choose to post anonymously, please leave your name or first name and last initial, and then make sure you click on my profile and email me with contact info so that I can contact you if you win.. thanks) Also, contest limited to folks in the U.S and Canada.. thanks. 1. Leave a comment below about what you think about PPG's journey, of let me know if you have a question for him! 2. Share this blogpost for the contest to your Facebook page (links at bottom), and leave me a comment that you shared it. 3. "Follow" or subscribe to this blog (link to the right), and leave me a comment to that effect. 4. 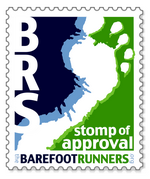 "Like" Barefoot Inclined on Facebook (click, or see link to the right), and leave a comment that you have "liked" it. 5. Share this blogpost for the contest on Twitter (see links below) and leave a comment letting me know. 6. 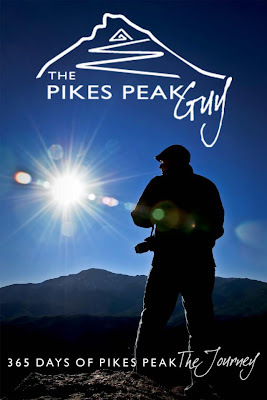 "Like" The Pikes Peak Guy on Facebook and leave me a comment letting me know. After the contest closes on Friday, July 27th 2012, at 8pm MST, I will be using Random.org to generate sequence numbers for all comments received, and determine a winner. I will contact winners via the email addresses provided when commenting (but not shown or shared). Sorry all for the long delay between blog posts. I've been working on a number of reviews, but things kind of came to a screeching halt a few weeks ago when the Waldo Canyon Fire started just outside of Colorado Springs. It's been a crazy week of prepping to evacuate, watching the devastation created by the fire, finally seeing it get under control, and then leaving on a road trip! The fire started in the middle of one of my favorite trails... to see what it looked like before this fire... click here. Ok... on to more fun things. 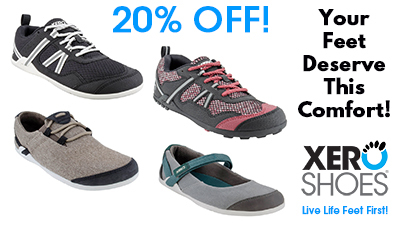 As you know I love trail running, and have had fun reviewing a variety of minimalist trail running shoes. 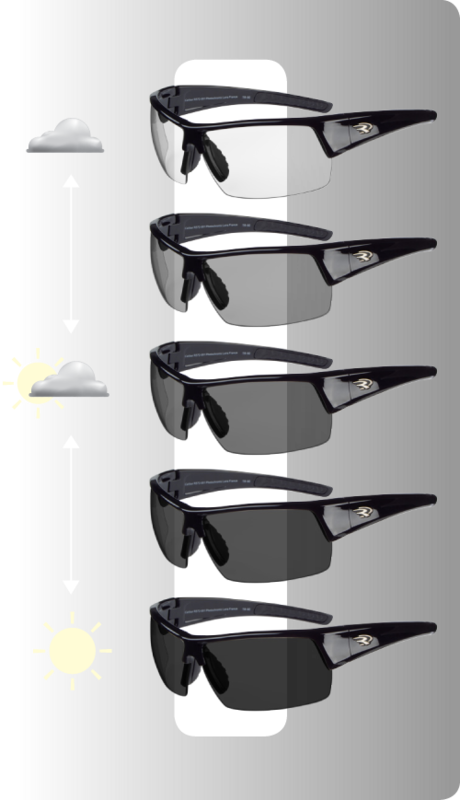 But in this case, I get to review some great trail running sunglasses from Ryders Eyewear. Ok, these could be running glasses, riding glasses, etc... but of course I'll review them from a trail running perspective. 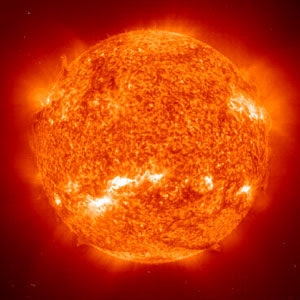 The primary purpose of sunglasses is of course to provide protection to our eyes from that thermo-nuclear bad boy we call the sun. 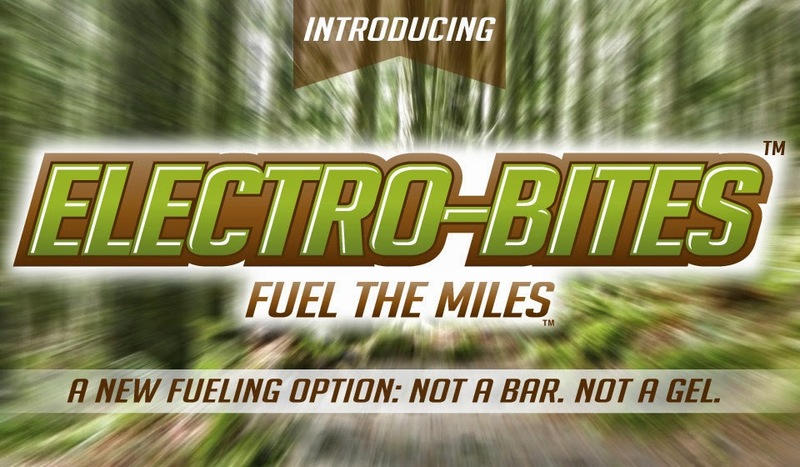 This protection is very important, and even more so in the high-altitude Rocky mountains where we squint just a few miles closer to that ball of incandescent gas. From that perspective alone, Ryders has it totally covered. Most sunglasses block out UV rays, but Ryders provide very comprehensive protection. As noted on their website, "Some eyewear brands block 100% of UV rays, but only to 380nm, which means they’re letting the harmful, high-energy blue light through. All of our lenses however, of every tint and shade, block 100% of UVA, UVB, and UVC rays and harmful blue light to 400nm. These harmful rays are a leading cause of cataracts, skin cancer and wrinkles around the eyes—all great reasons to block them out"
But, beyond protection from the sun, I also look for trail glasses to provide protection from flying debris, branches, Sasquatch etc... Again, Ryders delivers with shatter-proof polycarbonate lenses, that are also optically correct. In other words, there is literally no distortion from the lenses. 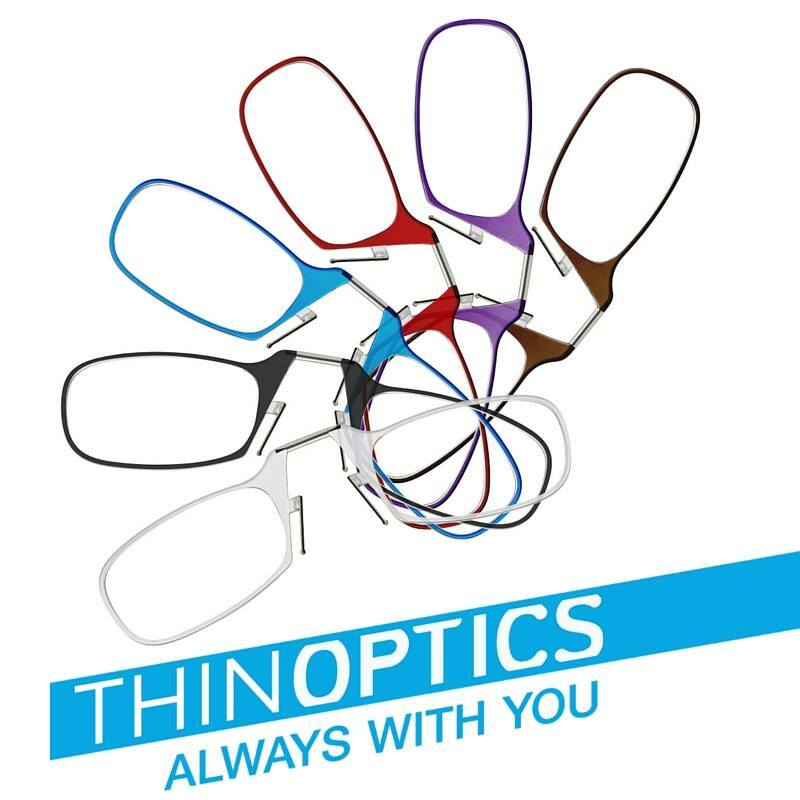 Additionally, the frames are constructed from TR90 thermoplastic, from Switzerland, that is flexible, light-weight, and very durable. Another one of the features I liked most about these sunglasses were the photochromic lenses. These lenses are tinted light enough that I can put them on in the predawn low-light, and I have great visibility. Then, after the sun comes up, they darken very quickly. 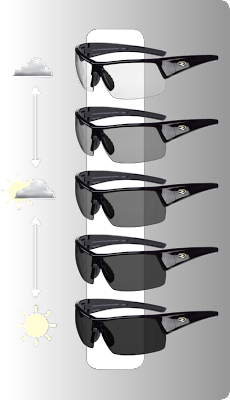 This allows me to run in varied light conditions, without having to constantly put the glasses up on my hat, and then back down. Additionally, the brown tinted lenses actually enhance a lot of what I see.. similar to driving glasses, allow me to see the roots I trip on very clearly before taking a header. Finally, I really appreciate the wrap around styling and venting provided by Ryders. In particular, I am running in the "Shelled" style, and it has some really great venting. Some sunglasses get fogged up on me, especially since I run really hot/sweaty, and somewhat slowly... so keeping lenses clear can sometimes be an issue. However, the venting on this particular style works extremely well... further allowing me to wear them all the time. However, even with good venting, strong winds are deflected from your eyes very well. Most Ryders Eyewear models retail between $69.99 to $89.99 a pair. Considering the quality of features and construction of these glasses, I think they are a terrific value. When researching other glasses, I've found a number of pairs in the $150+ range, but I don't think you need to spend that much. 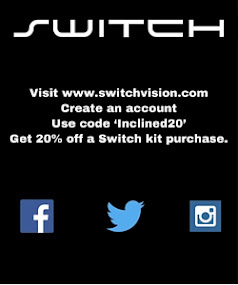 And if style is important to you... check out their webpage... they have a ton to browse through! I highly recommend the photo-chromic lenses though.. especially for trail running. As always... if I've missed something or you have a question/feedback.... let me know! Oh.. and of course, with a post titled this way, this is MANDATORY! 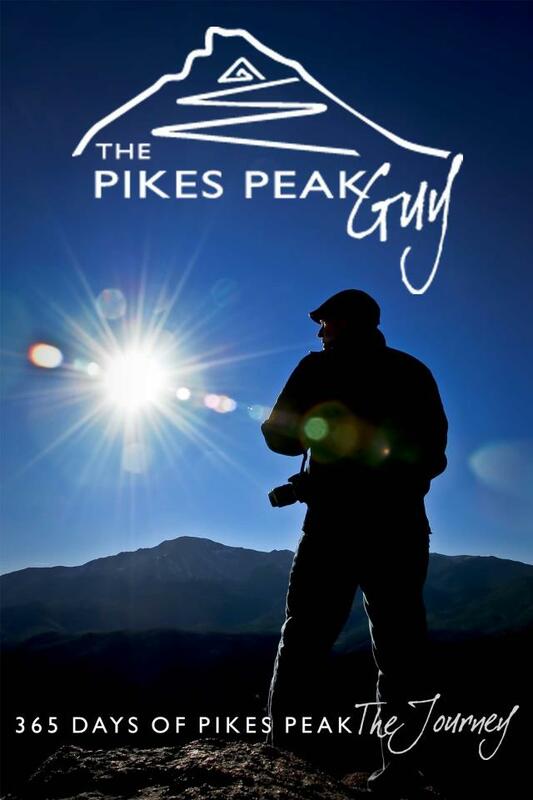 Stay tuned for great interview with The Pikes Peak Guy... and a give away! !